The 2018 Game Developers Conference has opened a call for submissions to ALT.CTRL.GDC, that popular on-site special exhibit which highlights unique control methods for playing games. The perennially popular ALT.CTRL.GDC showcase will take place from March 21 to March 23, 2018 at the Game Developers Conference 2018. 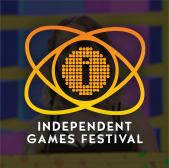 The deadline for submissions to the showcase is December 1st, and organizers welcome all indie-centric one-of-a-kind game peripherals, contraptions, and novelties which enhance game experiences and challenge traditional forms of input. To get your cranial and actual circuits buzzing, consider that last year ALT.CTRL.GDC visitors played a game of give-and-take with a re-purposed printer motor in Doggy-Tug-of-War, touched colorfully-tinted tummies to make mix and match colors in U.F.O. Bellies, crawled for their lives by pulling on a carpeted treadmill in Zombie Crawler, and revisited their childhood imaginations while titling and shooting in a cardboard box in Space Box. The ALT.CTRL.GDC 2017 Award winner, Fear Sphere, was a spine-tingling inflatable escape-room that players stepped inside and illuminated with a flashlight that doubled as a portable video projector, while another player stood outside to help guide the sphere-engulfed player to safety. Teams for each chosen submission will be asked to showcase their games to GDC attendees at the ALT.CTRL.GDC exhibit area. They’ll also receive a pair of GDC Conference + Summits Passes and a pair of Expo Passes, for a total of four free passes to GDC 2018. 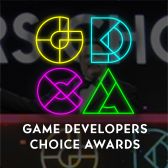 For the second year in a row, one of the games selected to be part of the GDC 2018 ALT.CTRL.GDC showcase will win the ALT.CTRL.GDC Award ($3,000) at the IGF ceremony during GDC, with judging taking place on-site. This will be the fifth year that ALT.CTRL.GDC appears at GDC, and organizers are looking forward to the remarkable outpouring of creativity and ingenuity that has become a hallmark of the interactive exhibit. Organizers are also preparing a host of other exciting interactive exhibits for the upcoming GDC which will be announced in the coming months. GDC 2018 will itself take place Monday, March 19 to Friday, March 23, 2018 at the Moscone Convention Center in San Francisco, California. 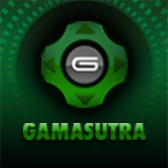 More information about Game Developers Conference 2018 is available via its official website. The GDC 2018 UX Summit seeks your best talks on user experience!